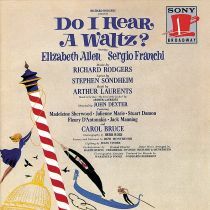 IHG® Rewards Club - Musik - 1965 Original Broadway Cast - Do I Hear A Waltz? 3. Act I: What Do We Do? We Fly! 12. Act II: Do I Hear A Waltz?